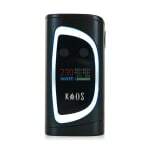 Sorry, Sigelei Kaos Spectrum 230W Mod has been discontinued. The Sigelei Kaos Spectrum is a 230W dual 18650 regulated series temp control mod with a large, informative OLED screen surrounded by a customize-able LED band. Slim, and light. Perfect for any vaper using high power, sub-ohm atomizers. 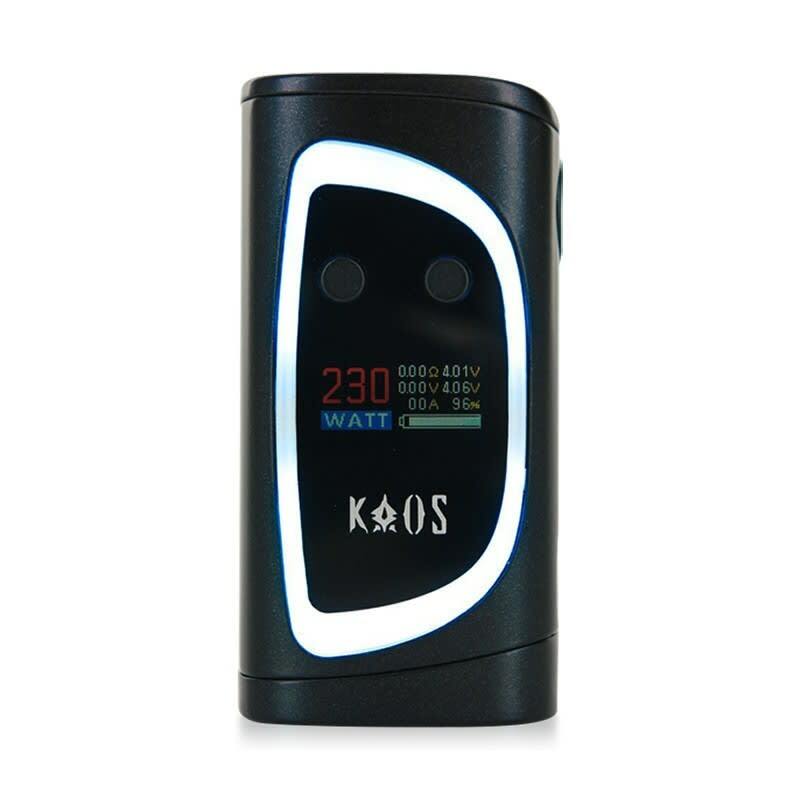 The Kaos Spectrum is a 230W dual 18650 regulated series mod by Sigelei, with an informative 0.96 inch OLED screen surrounded by an eye catching customize-able LED band. 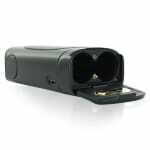 The zinc alloy chassis is lightweight and durable, and the hinged battery door locks securely. The slim ergonomic body with soft touch leatherette backing is easy to grip, and the large stiff button is satisfying to fire. The Spectrum supports atomizer resistance as low as 0.1Ω and features temp control support for SS/Ni200/Ti. TCR mode allows you to change the resistivity coefficient for custom coil material, and initial firing power can be adjusted (constant) for a set period with Preheat Power/Time Settings. 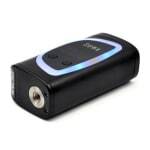 A micro usb port supports charging and firmware upgrades.